It’s official – the long-awaited fifth game in the main Ace Attorney series will release on the Nintendo 3DS in North America and Europe this fall. However, Capcom has confirmed that the title will only be made available digitally through the platform’s eShop. Officially dubbed Phoenix Wright: Ace Attorney – Dual Destinies for English release, the game releases in Japan this July with a full retail version (even a special edition which includes an action figure and stickers and whatnot) as well as a digital version. North America and Europe are getting the short end of the stick a bit in comparison, but for fans of the franchise, digital-only would seem to be better than nothing at all. The news came by way of the game’s first English trailer, courtesy of Capcom Euro. It’s almost shot-for-shot the Japanese teaser released months ago, except…well, in English. Why Capcom decided to release it only as a digital download are unknown, although Brett Elston, the company’s senior online and community manager, confirms it via Twitter. 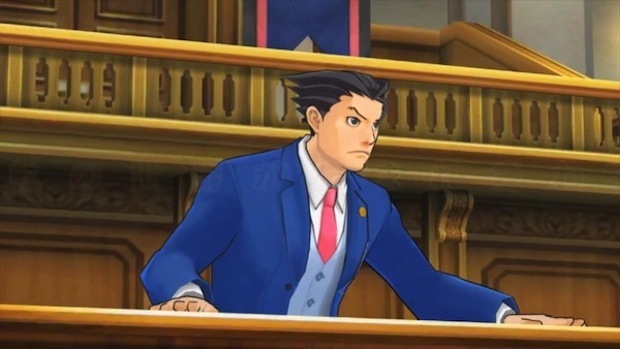 It may have something to do with the North American and European sales for the previous two games in the franchise – Ace Attorney: Apollo Justice and spinoff Ace Attorney Investigations: Miles Edgeworth. Both sold well enough in English-speaking markets, but less than previous entries in the series and not nearly as well as they did in Japan (that a sequel to Investigations was developed but never released outside of Japan may be evidence of this). However, without confirmation from Capcom that’s pure speculation. Dual Destinies takes place one year after Apollo Justice, featuring the return of series protagonist Phoenix Wright to a starring role for the first time since 2004’s Phoenix Wright: Ace Attorney – Trials and Tribulations. Wright returns to the courtroom with a new junior partner, Athena Cykes, who can use her Mood Matrix – new to the franchise – to dig deep into witnesses’ emotions and uncover secrets. The game looks to play similarly to previous games in the franchise, though this is the first entry not to be sprite-based, remade from the ground up to take advantage of the 3DS’ graphical capabilities. What do you think, Ace Attorney fans? Upset that you won’t be able to get your hands on a physical copy of Dual Destinies? Just happy to have the game translated at all? Let us know in the comments.